When you bring your newborn home, you might be concerned about the weird sounds he makes with his breathing. Newborn breathing can have a distinct set of sounds and patterns, and it is a good idea to become familiar with those sounds. This will allow you to discern which sounds are "normal" and what might need more attention. One of the best things that you can do is to simply spend time with your baby, quietly listening to him breathe. Whether he is awake or asleep, just give a listen to the different noises he makes. His breathing sounds may vary depending on what he is doing (eating, sleeping, quietly awake). Getting to know those different sounds can save you from mistakenly being convinced that something is wrong. If you have a hospital birth, this is one of the reasons why rooming-in can be very advantageous. When you have questions, you can always ask a nurse. Babies are natural nose-breathers and not mouth-breathers. This is what allows them to breathe and eat at the same time. They will usually breathe exclusively through their nose until about 6 months and by the first birthday, they'll breathe more through the mouth. General sounds and noises he makes as he breathes. The degree to which his nostrils tend to flare as he breathes during different activities. The rhythm of his chest rising and falling. Sounds that are unique to when he feeds from the breast or the bottle. The sound when he sneezes. Don't worry, newborns sneeze frequently for good reasons. How his breathing sounds change as you change his position. Also, while adults breathe between 18 and 20 times per minute, newborns have much smaller lungs, so they must breathe more often. Generally, a newborn baby will take between 40 and 60 times each minute. Gurgling: This is due to saliva pooling at the back of the mouth. Snorts: You may hear these if your newborn is in deep sleep. Hiccups: Babies are prone to hiccups, both when they are in the womb and when they join the world. Whistling: Because the newborn nasal passage is so narrow, you'll often hear whistling as he draws in a breath. Another perfectly normal breathing pattern you should be aware of is called periodic breathing. You'll notice this marked pattern when your newborn is asleep. He'll cycle through rapid breathing, shallow breathing, and short pauses that last between five and 10 seconds. This trend is nothing to be concerned about and it will not affect your baby's coloring or heart rate. Being able to recognize your baby's normal breathing pattern will allow you to recognize abnormalities. It's important that you follow your instincts whenever you have a concern. Call your doctor if you have any questions. A persistent cough or wheezing, including a high-pitched barking cough, which may be a sign of croup. Any cold-like symptoms or other signs of illness. A deeper breathing that results in a significant rise or fall above and below the rib cage so the ribs stick out. A distinct flaring of the nose. A grunting while breathing, particularly at the end of a breath. The baby stops breathing or the pauses in breathing last longer than 10 seconds. The baby becomes limp or is difficult to arouse. The baby begins to turn blue. When cold, a baby's skin may appear blue but should turn pink again after warming up. In any other instance, blue skin is serious. Now that you know how to observe your baby and understand what is normal, you can take a deep breath yourself. Enjoy all of your baby's funny sounds, but remain aware of any changes and don't hesitate to ask questions. American Academy of Pediatrics. Common Conditions in Newborns. HealthyChildren.org. 2009. Cleveland Clinic. Newborn Behavior. 2016. 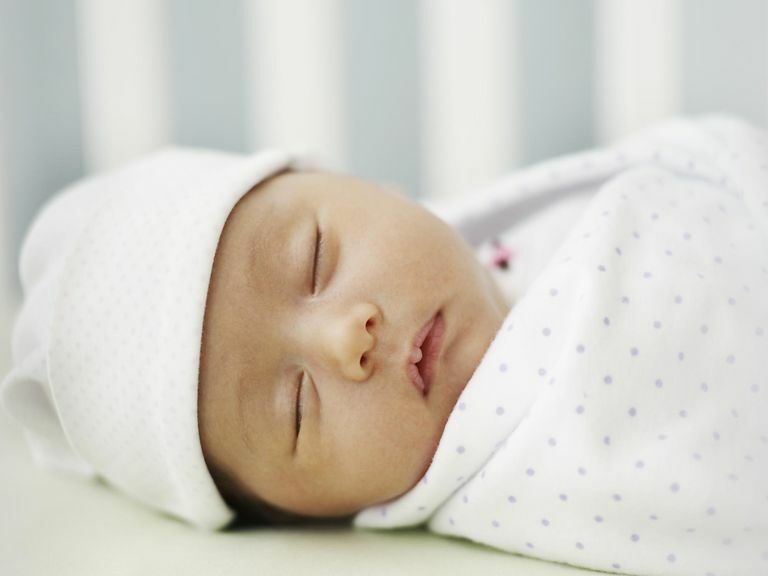 Dowshen S. Looking at Your Newborn: What's Normal? KidsHeath, The Nemours Foundation. 2018. Maclean JE, Fitzgerald DA, Waters KA. Developmental Changes in Sleep and Breathing Across Infancy and Childhood. Paediatric Respiratory Reviews. 2015;16(4):276-284. doi: 10.1016/j.prrv.2015.08.002. How Long Can You Expect Your Baby to Have Meconium Stools?